Every time I visit, there is a wait, but the wait isn’t too long and totally worth it. The first time I went, I was actually not quite hungry so I decided to try an acai bowl - I was stoked. 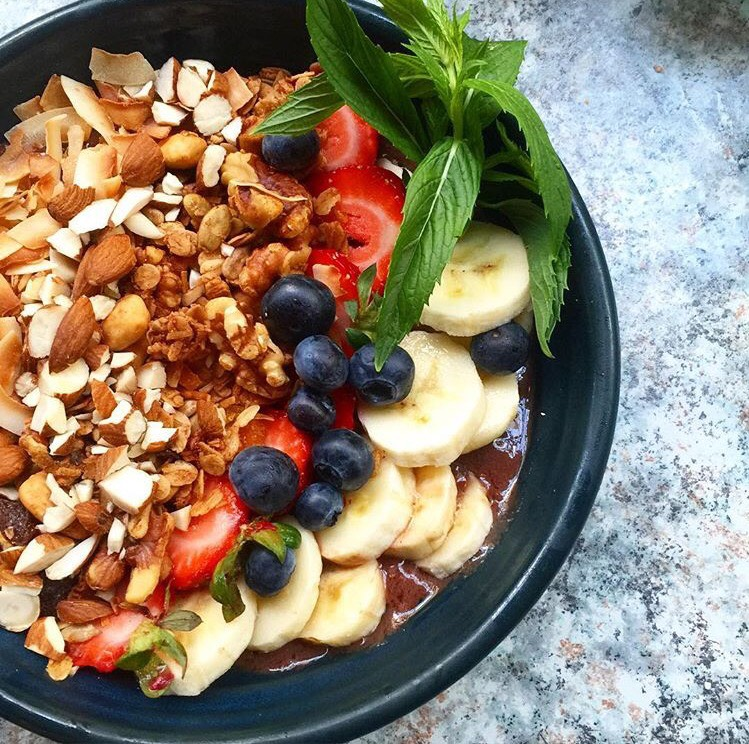 The acai bowl is absolutely amazing! I kept going back a few more times to try their other dishes which always never failed to satisfy my pallet but nothing beats the acai bowl experience! A gem that really should be visited more often. They have such generous portions and quality food! My favourite has to be their bibimbap. Whaaaa?? Yes the fusion bibimbap is a must try for a fit foodie. Purple rice and barley as the base then avocado, egg, kale and a range of other goodies layered on top. The eggplant is marinated to perfection with a hint of sweetness. The dish is served with a spicy sauce which is optional to pour in. Cannot stress enough that their healthy options on the menu is a must try! Delish! A little hidden gem tucked away on the side streets of Burwood. It is a small little local cafe with the best service! The owners are super friendly and practically knows all their regulars by name. Their menus tend to change quite a bit because it’s home recipes made with whatever is in season. Their menu is simple but the whole experience makes you want to keep coming back. Their soy chai latte I claim the best in Sydney!